PHILIPPINES 20TH ANNIVERSARY TRIP 2019 A special, celebratory, luxury, dive trip of a lifetime. Diveworld is celebrating 20 years as a PADI Dive Centre in 2019 and we aim to do it in style. Working with area specialists, Philippine Dive Holidays, we have put together an unforgettable 16 day, two centre package highlighting the best possible diving and holiday package out there. Maolboal & Coron. Philippines. November 15th-28th 2019. £3595-£3695 (depending on your choice of accommodation). An initial £340 deposit secures your place. Maolboal is a quiet town 3 hours south of bustling Cebu City and International Airport. The Maolboal coastline is basically one long wall bottoming at 40m with stunning hard coral formations and walls just teeming with life. A must see is Pescador Island, a short ride away which is noted for masses of fish life. Green Turtles are common and diver friendly so expect some awesome picture opportunities. One standout feature of the area is sardines, millions of sardines, and just like the famous sardine run in South Africa, this spectacle attracts predators and is an attraction in itself. Kasai Village Resort, run by Michael and his team, who work tirelessly to fulfil your every need. Built to a high standard, the dive centre and resort has everything a diver needs with spacious set up & rinse areas, a large camera room and fantastic dive boat. Sangat Island Resort is our second destination, set slightly away from the busy little town, the resort is an island haven with its own picturesque white sand beach. The open air bar offers superb views of the starry night sky. The idylic resort is just 10 minutes boat ride away from the main cluster of WW2 wrecks at Coron. Coron is home to 11 Japanese wrecks, sunk by the Americans in 1944. All the wrecks can be dived recreationally with the deepest being at 42m. Apart from wreck diving, Coron offers stunning scenery and other scenic dives such as Gunter`s Cave & Barracuda Lake. Oslob is becoming world famous for Whaleshark encounters. The small, struggling fishing village has transformed itself into a successful marine park by nurturing the endangered Whalesharks instead of catching them. Our trip will include two one hour dives in Oslob, with the chance of a magical interaction with these giants of the sea. 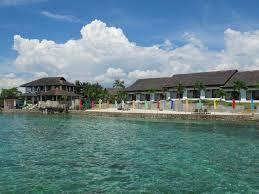 The trip includes; International flights from Manchester to Cebu with 30Kg luggage allowance. All transfers. 6 nights in Kasai Village Resort with twin share rooms on a full board basis. 15 day dives, incl Nitrox, tanks & weights. Day trip to Oslob including two dives. Transfer to Coron, incl domestic flights. 7 nights on Sangat Island in a twin share chalet on full board. 18 dives including nitrox, boat, guide, tank & weights. ATOL & TTA financial protection. Payments are deposits of £340 and then £500, with the balance due 1st September 2019. Excludes; Dive equipment, Marine Sanctuary fees, alcohol & soft drinks in resort.